Don't have time to cook but want to stay keto?! 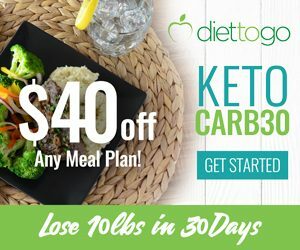 We've partnered with Diet-To-Go to give you $40 off 1 week of pre-made keto meals. Store them in your fridge or freezer and re-heat whenever you're ready to eat! 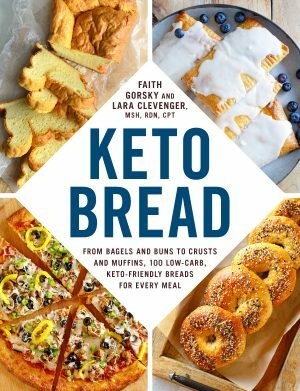 Do you miss carbs on a Keto Diet? Lara partnered with Delish and Women's Health Magazine to help create a 21 day meal plan for those of you who miss those carb-y comfort foods. Cronometer is our favorite app to track macros. You can easily track macros, add foods, add recipes, track your weight, glucose, ketones and many other metrics. The Keto Mojo is our go-to glucose and ketone blood meter. It is the cheapest meter on the market with ketone strips at only 0.99 cents each! FBomb - our favorite on the go nut butters! We met Ross at KetoCon 2 years ago and fell in love with their product. Not only do they taste great but they're super convenient for traveling. Lara loves her Clearlight Full Spectrum Infrared Sauna. She uses it every morning either after a workout or before she begins her day on non-workout days. Whether you're looking for collagen, bone broth or gelatin, Vital Protein has what you need. We use VP collagen in our BPF and gelatin in our desserts to make them nice and chewy! More than just Grass-fed and grass finished beef, US Wellness meats has the best selection of of high quality animal meats and animal fats. Beef, Chicken, Seafood, Turkey, Duck, Lamb, Rabbit, Venison, Butter, Cheese and much more!